Healthcare is a complicated, process-driven, and heavily regulated industry. Due to shifts in digital expectations, healthcare marketers are quickly adjusting their strategies in order to avoid missing opportunities, switching gears to maximize their digital media-based inbound marketing efforts – directly engaging healthcare consumers. Just a look at the most recent statistics. Of patients use online and offline resources to research local hospitals. Online searches drive three times more traffic to hospital websites. Of patients who use their mobile device to research hospitals will schedule an appointment. Of Internet users go online to analyze a medical condition. Of Internet users search for medical facility information online. Of Internet users will look for health information online. Healthcare marketers (much like consumers) are also being affected by healthcare system and regulatory changes. MM&M states that healthcare marketing and advertising budgets are increasing because of repatriation, drug pricing, regulatory pressure, public perceptions and R&D challenges. Although doctors are still the primary target of biotech, pharmaceutical and medical devices companies, healthcare consumers are now an important target group. As mentioned above, doctor control and decision-making is shifting to healthcare payers. One marketing report claims that over two-thirds of healthcare systems predict that their marketing units will spend more time and money on influencing patient behavior. Both parties need to be equally informed in order to understand and agree upon appropriate products and services. Many years ago, there were waves of hospital mergers and the formation of hospital groups. Recently, there have been vertical consolidations of healthcare players because of how the ACA rewards health plans with narrow networks. The ACA’s Medicare Shared Savings Program has established Accountable Care Organizations (ACOs) that strive to reduce costs through fewer services like doctor referrals. 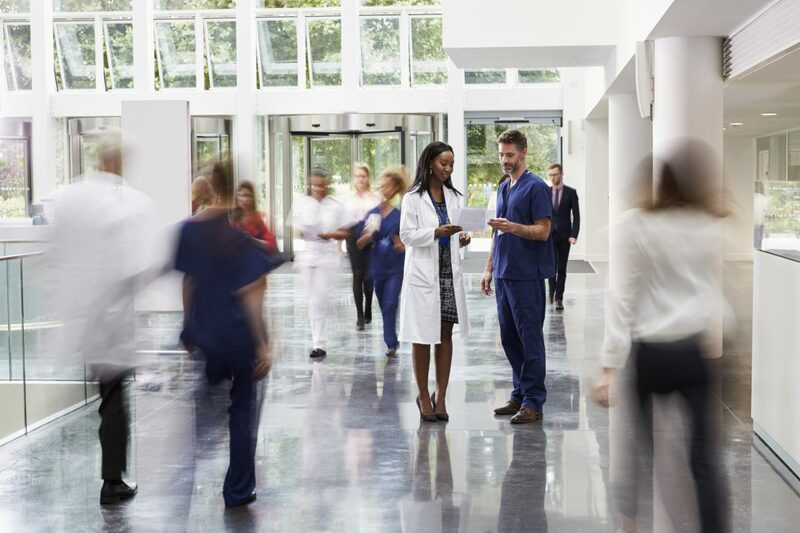 Forbes magazine facetiously states that hospitals are going on “doctor-buying binges.” Although these worker monopolies lead to higher costs, they are creating integrated systems that offer better coordinated care to patients. When doctors become healthcare system employees, they lose their ability to be the ultimate decision makers regarding medical services and products. Instead, they are important advocates and members of collective purchasing groups. Both digital and traditional marketing campaigns use similar tools to plan, research, create and execute projects. The most common digital marketing tactics for healthcare organizations include e-newsletters, website articles, case studies, white papers, social media, digital videos, research reports, digital magazines, mobile content, and guest blog posts. Digital ads, social media and mobile/tablet apps are replacing print materials, so healthcare organizations must shift to digital channels and solutions. The first step is to create clear goals and strategies for social media, consumer engagement, website interactions and financial objectives. For example, the marketing team must develop a thorough understanding of the audience demographics. Each market segment will respond to different types of content, platforms and design elements. Each piece of content, media, and CTA should speak directly to specific people. Some of the most common groups the marketing team will be communicating with are physicians, executives and purchasing leaders. While all three groups are technically on the same team, they have different priorities and responsibilities. This means they will seek different types and quality of information. For instance, doctors are more interested in scientific data and evidence-based practices, while hospital executives look for data regarding patient satisfaction and cost-effectiveness. Ideally, market research will reveal key demographic information, such as age, gender and career level, as well as which persona responds best to print, video, graphs, raw data, viral shares and combinations. It’s important to know what type of information is most interesting and beneficial to which persona as well as which type is looking for quick assessments and in-depth research. Medical marketing content may require writers with strong scientific and technical backgrounds. The healthcare industry’s ongoing internal transformation and external regulatory changes create both challenges and opportunities for digital marketing professionals. Healthcare delivery models must focus on transparency, patient satisfaction and quality outcomes. Empowered healthcare consumers require updated medical marketing strategies. You could check the website of Dental Smiles Unlimited to see how they have arranged their medical marketing content. 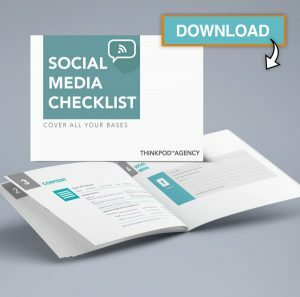 At ThinkPod, we are healthcare digital marketing specialists. We are passionate about reaching your prospective or current patients and providing them with the answers and information specific to their needs. Our goal is to make sure every healthcare client we are blessed to work with is not only showcasing and highlighting their unique strengths, but also positioning them to be THE experts in their areas, helping their local communities thrive in health and wellness. If you would like us to contact you to discuss your healthcare marketing concerns, goals, or to simply chat about your current strategy, please fill out the form below. One of our healthcare digital marketing specialists will be thrilled to talk to you.